When Allied bombs destroy both his prison and the mad genius experimenting on POWs, Roger survives. Within hours, his wounds miraculously heal, thanks to those experiments. The Methuselah Project is a success–but this ace is still not free. Seventy years later, Roger hasn’t aged a day, but he has nearly gone insane. This isn’t Captain America–just a lousy existence only made passable by a new-found faith. The Bible provides the only reliable anchor for Roger’s sanity and his soul. When he finally escapes, there’s no angelic promise or personal prophecy of deliverance, just confusion. It’s 2015–and the world has become an unrecognizable place. 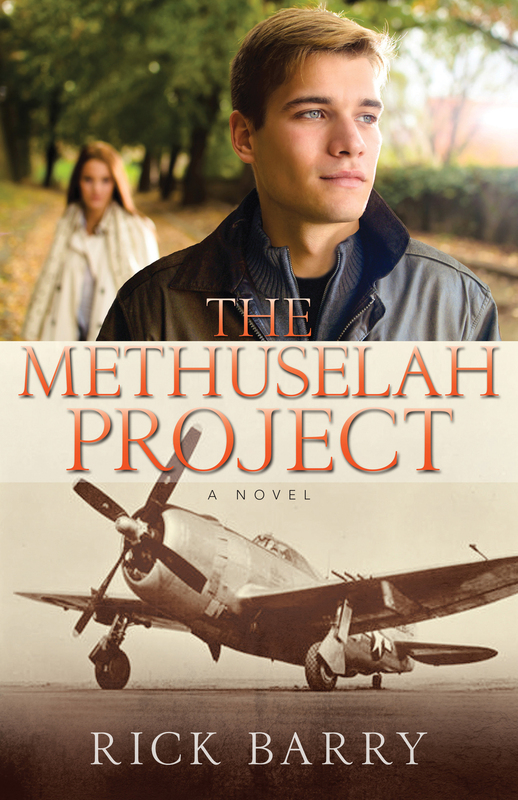 What a great thrill ride The Methuselah Project is! I love historical fiction and suspense and this book has plenty of both along with a touch of humor. This is the first of Rick Barry’s books that I’ve read and I’d say he has hit a home run! Roger Greene is sucked into the Nazi world and held prisoner while enduring the experimentation of Dr. Otto Kossler. After centuries in a dungeon, Roger aims for freedom only to find the freedom he wants outside the prison means being pursued by The Organization. Katherine Mueller has been brought up in the Heritage Organization and strived to succeed there. When she receives a training assignment to track Roger, she takes it up immediately. The problem arises when Roger’s story and the Heritage Organization’s assignment collide. Katherine struggles to know who to believe and the indecision could get her killed. My favorite part of this book is when Roger Greene enters the modern world. While walking through the airport he sees a man with multiple facial piercings and funky haircut…he thinks the guy has been experimented on as well. I literally laughed out loud on that one! The Methuselah Project is a must read! I absolutely loved it and can’t wait to share it with my fellow bookworms. I received this book from Kregel Publishing in exchange for my honest opinion which I’ve provided here.